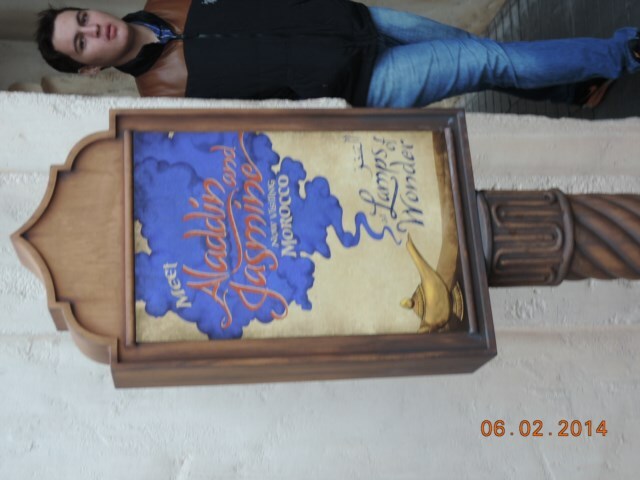 The most important part of the holiday – WHERE TO SEE THE CHARACTERS!! This is always at the forefront of most parent’s minds. All the videos give the impression that the characters are walking around the park all day and I naively thought this too! I soon learnt that they all appear at some time during the day at each park but you have to make sure you know where and when. It really is too hot for them to stay out more than 20 minutes at a time. Of course the parades are the easiest ways to see the characters but they don’t pose for photos although some do come up to the children and shake their hands. The main characters such as Mickey and Minnie have their own houses in ToonTown in Magic Kingdom and you can ALL queue and have your photo taken – around $18 for the professional one taken by their own photographers but they do give you time to take your own. We always go and see what the photo is like (they use computer screens for viewing) and if it is nice we buy it, if not then we just say “no thanks” – they never pressure you and the photos truly are a great momento of your holiday. Hollywood Studios also has a room designed to Mickey – usually with his Sorceror’s hat on and the line isn’t too bad as I don’t think many people realise he is there. The ToonTown Hall of Fame in Magic Kingdom always has photo shoots going on – 3 characters at a time can be seen such as Pooh, Tigger and Eeyore tend to appear together and the “baddies” are often here – such as Cruella D’evil, Captain Hook, Jafar, The Sherriff to name a few. 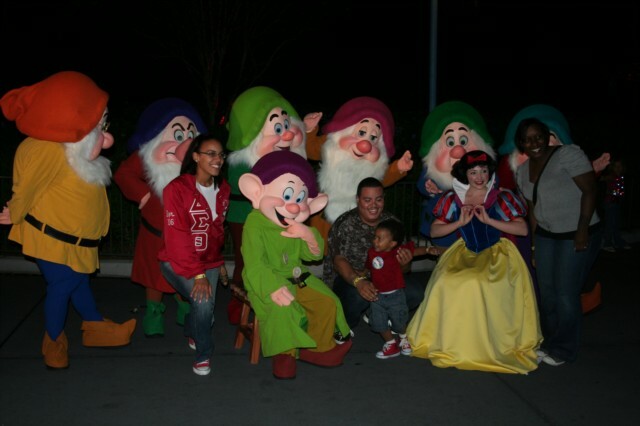 My youngest one (4yrs) won’t go near the baddies!! 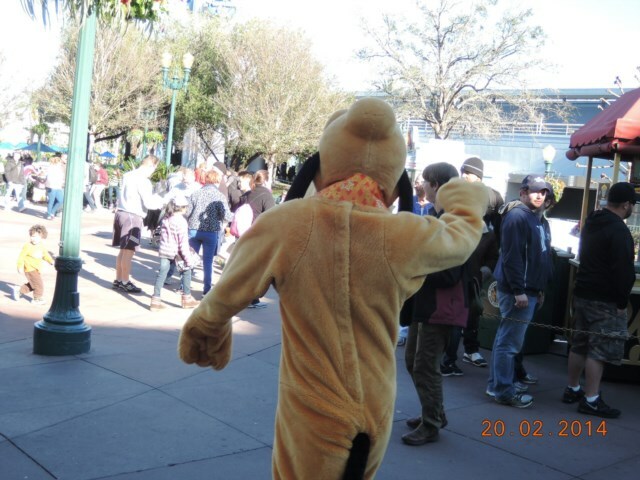 In every park you can nearly ALWAYS see Chip’n’Dale, Goofy and Pluto during some time during the day – we have so many photos of Chip’n’Dale! 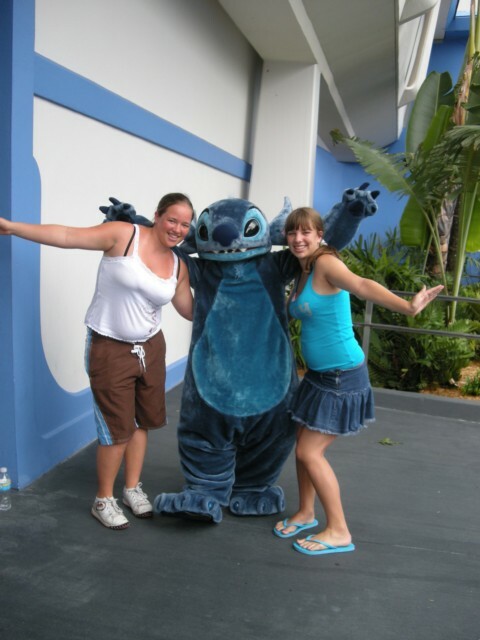 However, the best photos we ever got were at Camp Minnie & Mickie in Animal Kingdom. Just as any Lion King starts, the camp is quite empty and most of the main characters appear for great photo opportunities. They are all dressed in Safari suits and there is the professional photographer with Minnie. 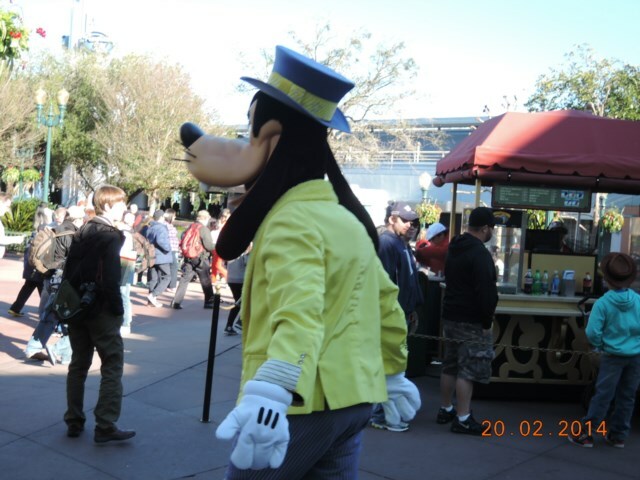 Always visit Guest Relations if you are desperate to see one character in particular, they will try and find out when that one is appearing and will always let you know where the other appearances will happen that day. At Epcot, the characters appear in the World Showcase and now there is a Character on Holiday bus and this comes to World Showcase plaza and there around 6-8 characters at any one time on the bus – again check Guest Relations for times. 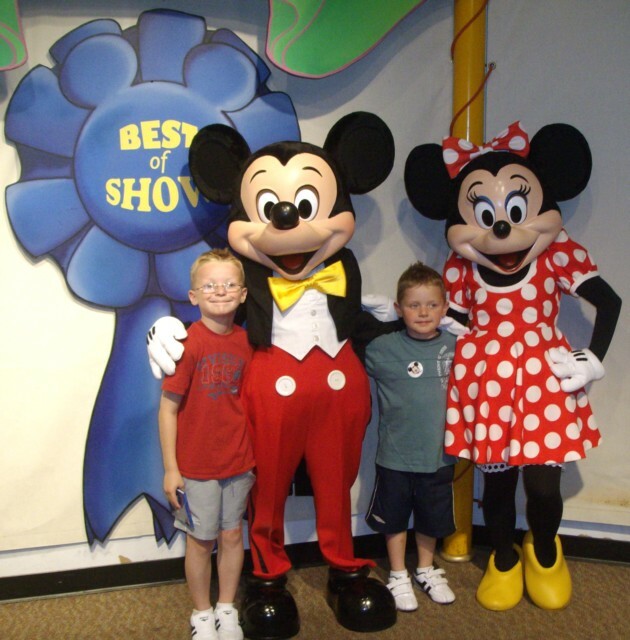 Visit Hall of Fame, Mickey & Minnie’s houses when parades are on as queues are much shorter. 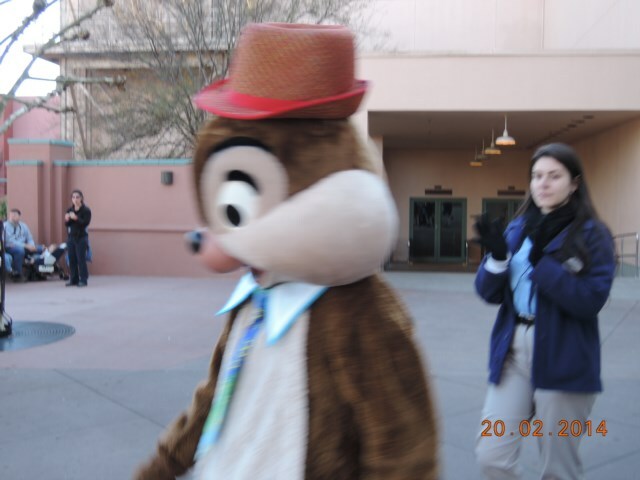 If the character greeter with the character says that the character is going but will be right back – then he will be right back and you should wait around if you do want to get to meet the character. ALWAYS have a clean page on your autograph book at the ready, saves time and means the queues move faster. King Louis can’t sign autographs but most of them do. Also have your camera at the ready. If your child is apprehensive, tell the character greeter and the character will then just wave and maybe if they feel the time right, put out their hand (sorry paw!) to see if the child will come to them. They are so helpful and will often play with a childs hat etc – let them spend time with your child – they love it. If you have an instant camera – the character will sign the photo – what a great momento. To summarise – the characters are always around and about but you do need to find out where if you really want to get the photos with your kids – or if you are just like me, just want a cuddle with them! Viewed 4422 times since 1 September 2008.